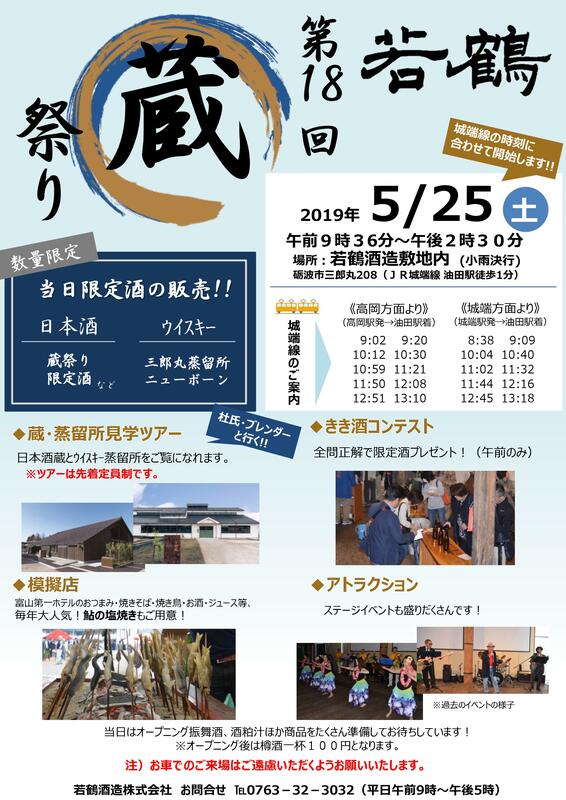 ‘The 18th Wakatsuru Kura festival’ will be held on May 25, 2019. Our brewery and distillery will be open for everyone and having a tour, and also the limited Sake and Whisky will be on sale. Enjoy Sake and Whisky with delicious foods. We are looking forward to seeing you. Time : 9:36am - 2:30pm *fixing the Starting time for the timing of Jyohana line arrival. *It is not allowed to come by the car if you drink alcohol.